Technology, and it’s application to cost effective timely solutions for covering space, is the core intellectual property of Aircraft Support Industries and the reason ASI is successful in a highly competitive market. 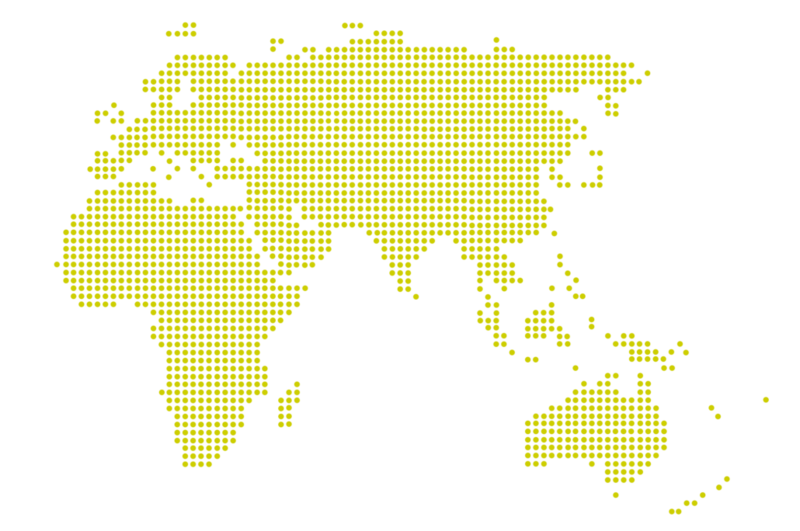 Together with the mainstream mature application of the “stressed-arch” technology, we are continually researching new technologies and applications in niche markets to keep the company on the sharp edge of developments. The Stressed Arch building system is a unique method of constructing buildings and roof structures which require a clear roof span. The flexibility of design and speed of fabrication and erection make the system a very economical, practical solution to the building of a wide variety of structures. The building consists of a series of plane arched trusses fabricated from structural steel and interconnected with purlins and a roof membrane to form the final building envelope. Each arch truss combines the structural efficiency of the arch configuration with the erection speed of an in-built lifting / stressing system provided by high strength steel tendons. Efficient use of elements leading to a lightweight structure. The horizontal forces on the footings under dead weight are negligible. While the structure is in the assembled position many roof-supported services can be installed, providing cost and safety advantages compared with later installation at full height. Install prestressing tendons through frame bottom chord tubes. Attach “dead-end” anchorage to one end of the frame and stressing jack to the other end of the frame. Operate stressing jacks to tension tendons and “lift-off” the frames from supporting props. Remove supporting props as required. Stroke out stressing jacks repeatedly to pull tendon and raise building from the assembled position to the final erected position. 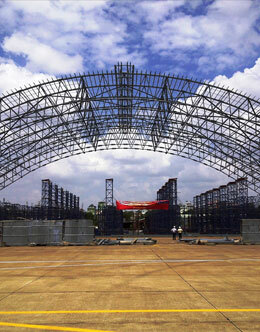 In some projects a roof is needed which provides a constant clear height over then entire hangar floor. This is where the ASI vertical roof lift is used. In this system the roof structure typically consists of a front truss with a clear span across the door opening, co-linear rear trusses covering the same width in 3 spans, and secondary trusses which span between the front and rear trusses. The steel trusses are assembled into their position near ground level on temporary supports, and are positioned around the columns, which are usually concrete due to superior fire and aesthetic considerations. Commonly available mobile cranes are used to assemble the steel, as the weights being handled are not high. As assembly proceeds all the roof-suspended services are installed and the entire roof is completed. This provides significant time, cost and safety benefits to the project compared with the installation at final roof level. The roof is then lifted up into its final position by the use of high-strength steel strand, and stressing jacks which are placed on the column tops. After the roof is fixed into the final position the hangar walls and doors are completed. From commencement of lifting until the roof is in the final position takes less than one day. Vertical lift doors operate much like a roller door except they comprise a light structural framework supporting one or more layers of fabric like material. They are an elegant solution, in particular where either aesthetics or space limitations dictate that conventional sliding doors are inappropriate. 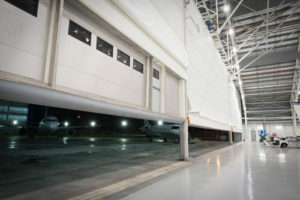 They can be more effective than sliding doors at containing heated or cooled air within the hangar space during traffic movements in and out of the hangar, and the door fabric may be translucent allowing good levels of natural light into the hangar. Special consideration must be given to the performance of the front support of the hangar to meet the door functional requirements.